Earlier this month, Nike officially introduced the Air Jordan 11 Low “Easter” and revealed plans for its release. With just a few days to go until the sneaker officially hits shelves, a closer look at the high-profile style has surfaced. 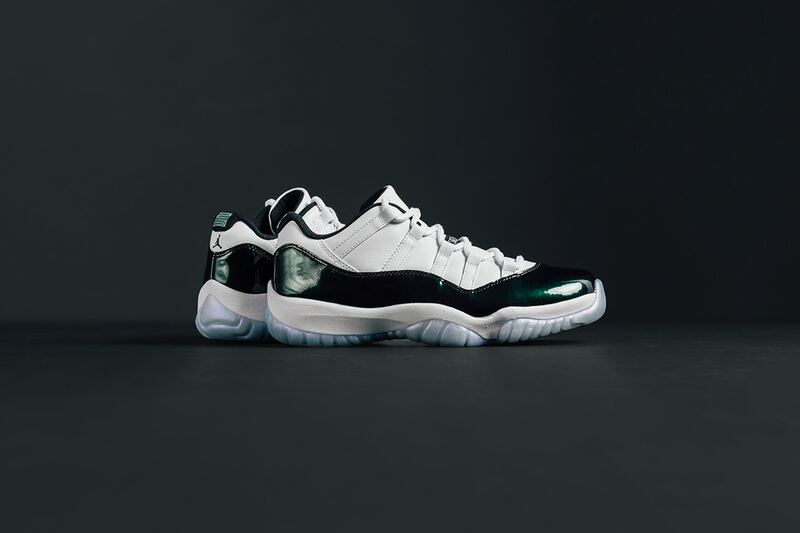 The Air Jordan 11 Low “Easter” is a primarily white shoe with bold black and emerald tones adorning parts of its exterior. The Swoosh’s “Tiffany” detailing also makes an appearance on the heel, tongue and insole. Rounding out the package: an “Irisdescent” finish on the very bottom, adding a unique contrast.